As members of Independent Jewelers Organization we have the opportunity to travel to Antwerp, Belgium, the diamond capital of the world. We travel to Antwerp twice a year to buy diamonds directly from the Debeers sight-holders. In addition to purchasing diamonds for our store, we also serve as a diamond broker for our customers. We always enjoy finding a special diamond for someone and then delivering it personally along with a box of Belgian chocolates and a Belgian lace handkerchief that has been hand carried across the Atlantic from Europe. Because we deal directly with the diamond cutters and Debeers sight-holders in Antwerp, we avoid paying a mark-up to the U.S. importer and distributor. 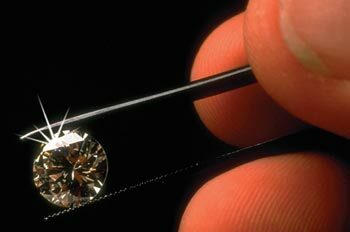 This allows us to offer you the diamond of a lifetime at substantial savings over regular retail prices. It's not only the savings that make this a unique diamond buying experience, it's the fact that your personal jeweler is traveling close to 10,000 miles to hand-select this specific diamond for you from among the largest selection of diamonds ever gathered in any one place. It's your decision to choose a certain size, shape, color and clarity of diamond, not just accept what is available on the local market. It's the journey of your special diamond- from the earth, to the cutter, to you, no previous owner, no stops along the way. There is nothing quite like owning (or giving) a beautiful, quality diamond, a one-of-a-kind masterpiece of nature, perfected by the skilled hands of the expert diamond cutters in the world's diamond center and hand selected for you by your personal diamond broker in Antwerp, Belgium. A gift that will truly last forever and be a keepsake from generation to generation.